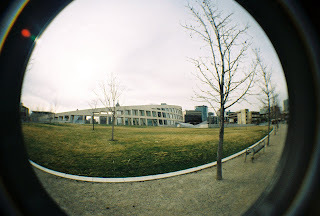 A few weeks ago i got a new camera called a Fisheye. it takes pictures that look like a bubble and gets so much in each shot. more than you think you're taking at the time. It's been really fun to play with, i take it everywhere with me now! and it isn't very expensive. at least, the one i got isn't! you can buy a camera from Urban Outfitters for 48$ (i got mine for 30 because i picked one with a hurt box) and i think it is well worth it for all the fun pictures you get in return!